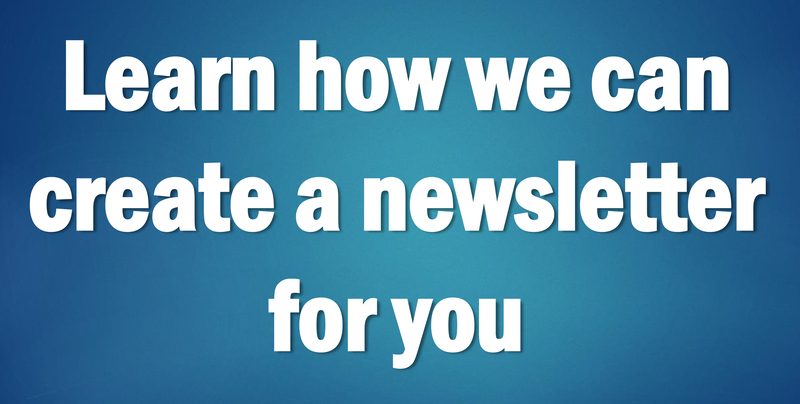 Your newsletter’s printing costs will depend, in part, on the type of press your printer uses. This printing press, the Didde MVP, is most cost effective for short-run, multiple-ink projects, according to the manufacturer. For many newsletter publishers, printing costs may account for the majority of a newsletter’s total cost. So if you’re looking to reduce the cost of publishing your newsletter, a good place to start is by re-evaluating your printing requirements to see if you can bring these costs down. For many, the printing process is a mysterious one. Most newsletter editors understand the design and layout processes pretty well, but few know exactly what happens once they drop off their project at the printer. All they know is they drop off the project at the printer, and a week or two later the newsletter magically emerges from the print shop’s back room as a finished product. Newsletter editors like these, who know little or nothing about the printing process, are most likely relying on the print shop’s sales rep to tell them what they need. That’s like asking a car salesman to choose the options you want installed on your new Chevy – you’ll likely end up paying for more than you need. Don’t assume your printer has the best prices for all types of print jobs. Printers vary wildly on their prices. One print shop that has the best price in town for a newsletter run of 1,000, may be the highest in town for a quantity of 10,000. Another printer that may be the cheapest on a 4-color newsletter project, may be extraordinarily high on prices for a 2-color publication. This happens because each print shop has different kinds of presses that specialize in certain niches. For instance, a “quick printer” may have a small press that can print small quantities of a two-page newsletter very economically. But for larger quantities, a print shop with a larger press may be more efficient and cost effective because it can print four copies of the newsletter at a time. The same goes for colors. A printing press that can simultaneously print two inks may be the least expensive for your two-color newsletter. If you have a 4-color newsletter, you could still take it to a printer that has a two-color press, it just has to be run through the press twice. However, it may be more economical to take it to a print shop that uses a 4-color press, or in other words, a press that can simultaneously print four colors in one pass. Few print shops can afford all the presses that would be required for them to have the best price in town on all possible print jobs, with their varying quantities, color requirements and sizes. That’s why it’s important to get price quotes from multiple printers for each new job. At CompanyNewsletters.com, we contract with a variety of print shops, each serving a different niche, to print our clients’ newsletters. For instance, we have one printer we use for 2-color newsletters when the quantity is less than 5,000. But if the quantity goes above 5,000, we use a different print shop that has larger presses. By matching the print job with the proper print shop, CompanyNewsletters.com keeps its printing costs low for clients, no matter the project. One word of caution when you’re comparing quotes on your newsletter project: Remember, print quality is not equal among print shops. A good printer is hard to find. I’ve worked with numerous print shops in my career, and I’ve run into many more bad printers than good ones. Occasionally, one print shop may give you a much lower quote than the others because it plans on using a smaller, cheaper press than should be used for your project. This usually results in a poor print job — solid colors that look washed out, printed images not being aligned correctly on the page, etc. Likewise, print quality will suffer if the shop has poorly trained press operators or low standards of quality. That’s why it’s imperative to see samples from any new print shop that you’re considering using. Ask for several samples that are similar to your project’s page size, style of paper and number of inks. Be wary of printers who say they don’t have any extras to share with you or those who only give you one or two samples. Even bad printers can usually come up with one or two samples that turned out OK. However, you’ll get a better idea of the print shop’s everyday standard of quality by closely inspecting four or five samples of their previous work. If you have a standard-sized newsletter, with pages that are letter sized (8.5-by-11 inches) or tabloid sized (11-by-17 inches) you’ll save money on printing compared to having an odd-sized newsletter. Print shops can only order paper in limited sizes, and these sizes are usually in multiples of 8.5-by-11 inches — the most common sheet size in the United States. If your newsletter has an odd page size, such as 10-by-15 inches, your printer has to order larger paper, like 11-by-17-inch sheets, and then after printing, trim the sheet down to your desired page size. This results in a lot of wasted paper scraps. So with an odd-sized sheet, you’re basically paying extra for the larger paper, much of which ends up in the trash can. Whiteness: Pure-white color is highly desired in paper because it provides the most contrast for the darker text and images that will be printed on top of it. However, if everything else is equal, the whiter the paper, the more expensive it is. This is especially true with recycled papers.Because paper comes from trees, it’s naturally a wood color. To get the sheets white, paper mills must put the stock through a bleaching process. This adds to the cost of the paper.You probably never realized that whiteness varies considerably in paper. To see for yourself, make a side-by-side comparison of a page from a book, a sheet of copier paper and a page from a magazine. Chances are, none will have the same degree of whiteness. One page may appear “dirty” white. Another may have a very slight yellowish glow to it. The third sheet may appear much whiter than the others. In any case, you can see how the whiteness varies from paper to paper.Your printer should have various kinds of paper available for your print job, and each type will probably vary in whiteness. Besides comparing sheets side by side, your printer should be able to give you a “brightness” rating, with 100 being the highest possible number, for each kind of paper you’re considering. Generally, the higher the number, the whiter the paper.For comparison, good quality copy paper generally has a brightness rating of about 84. Personally, I don’t like to use papers that are less white than copy paper. So I look for paper that has a brightness rating of 84 or better. However, paper that is rated in the mid to high 90s is considered an extravagant luxury. If you’re on a tight budget and using a premium bright-white paper, consider going to an economy sheet that has a brightness rating in the mid to upper 80’s. Weight: The heavier the paper, the more expensive it is, if all other things are equal.Paper weight is rated by your printer in terms of a “pound” rating. For instance, a paper that you’re considering may come in 50#, 60#, 70# or 80# weight. This rating refers to the weight of 500 sheets of that particular paper. But the main thing to remember is: the higher the number, the heavier the sheet and the greater the cost.Yes, you will want slightly heavier paper if your newsletter is a self mailer and has to withstand the rigors of the U.S. Postal Service. For this you might use 70# “offset” paper. Offset refers to the grade of paper and is the most popular grade used by print shops.However, if your newsletter will be distributed as a bill insert within an envelope, you’ll probably want to go with a lighter paper, such as 50# (about the same weight as copy paper) or 60# (the most commonly used paper weight for all print shop projects). When you use 80# offset and above, you have an extremely sturdy publication that has an “expensive” feel. Again, this is fine if you have the budget for it. But if you’re looking to lower printing costs, consider using a lighter sheet. The savings can be substantial, especially if you are printing high quantities. For instance, 80# paper may cost up to 12 percent more than 70# paper. Coating: Coated paper, like a magazine uses, gives a newsletter an impressive, pricey look. Colors appear more vibrant and photos look sharper. On the other hand, coated paper can also be very pricey compared to regular uncoated paper.If you use lots of photos in your newsletter, or lots of colors, you may not want to sacrifice the enhanced look of your coated-paper newsletter for cost savings. However, if your newsletter uses only a couple inks, and contains mainly text and clip art, readers won’t notice much difference in the paper’s performance, and you’ll likely be able to save significant money if you switch to uncoated paper. This is especially true if you are printing higher quantities. A bleed is when ink extends all the way to the edge of the sheet, such as the blue boxes at the top left and bottom right of this newsletter. A bleed is printer lingo for a page that has ink that goes all the way to the edge of the sheet. In other words, there is no margin between the printed image and the edge of the sheet – the ink goes right off the page. Bleeds can make for a very attractive design and are regularly used in magazines like Sports Illustrated, where a photo might go right to the edge of the page. However bleeds are also costly. That’s because printing presses need small margins on the edge of each sheet so its grippers can make contact there and feed the page through the machine. Because of this required margin, printers must use an oversized sheet of paper that is larger than the printed page containing the bleed. Once the oversized sheet is imprinted upon, the print shop must then trim the sheet down to the actual page size. Due to the larger sheet size that must be used for bleeds, this type of printing is more expensive than a print job that has regular margins around each page. The last tip is a simple one: Ask your printer how you can reduce costs. Sometimes, if you change one little thing on your print job, you can save hundreds. For instance, at CompanyNewsletters.com we’ll occasionally get customers who want a couple thousand copies of a two-color newsletter printed on coated paper. For this, we’d have to have it printed on a traditional sheet-fed press. However, if customers are willing to switch to uncoated paper instead, we can often save them hundreds of dollars by using a different kind of press that is more economical, but cannot print on coated paper. So if you’re on a tight budget, be sure to ask your printer for his or her recommendations on how you can save money.